Many different examples and variations of blue cherry blossom wedding cakes. 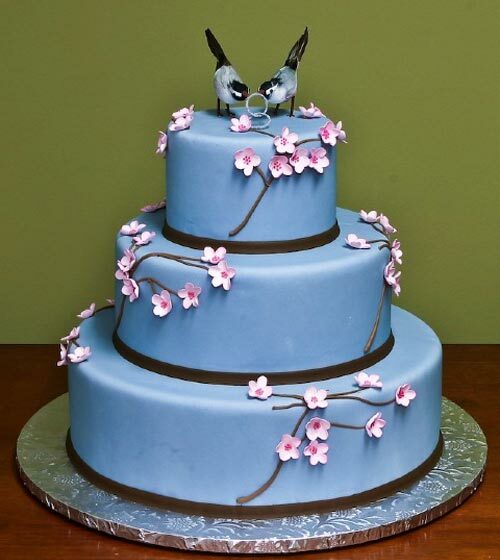 Perfect for a Spring wedding! 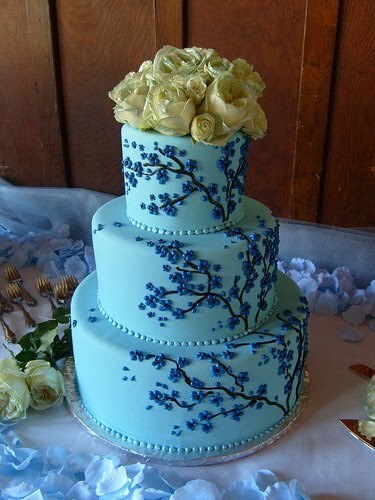 Round three tier blue wedding cake with blue cherry blossoms decorating the tiers and white roses on top. 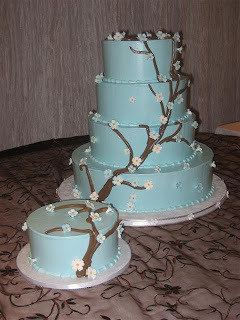 Four tier round wedding cake in tiffany blue with white cherry blossoms. 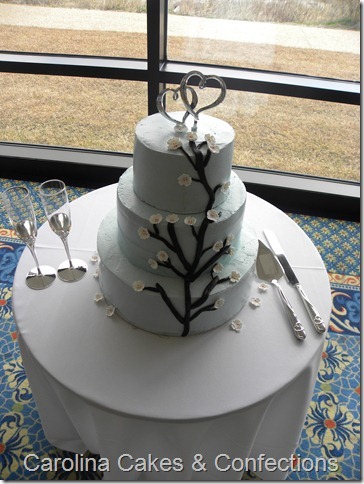 Three tier wedding cake frosted with brown sugar buttercream. 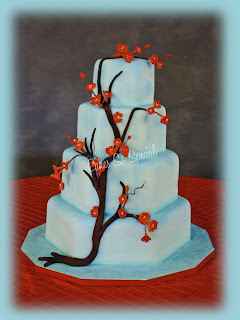 Decorated with buttercream and gumpaste cherry blossoms in blue. Three tier pastel blue wedding cake with delicate pink cherry blossoms and lovely bird cake topper. 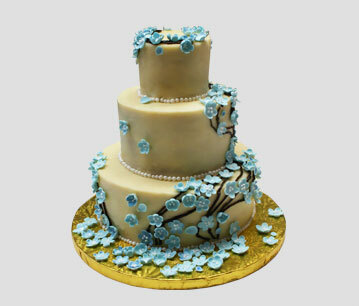 Two tier light powder blue round wedding cake with lovely white cherry blossoms. 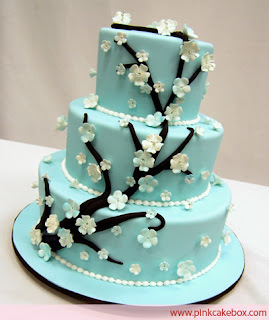 Three tier light blue wedding cake with white cherry blossoms. Three tier blue wedding cake with red, pink and white cherry blossoms. 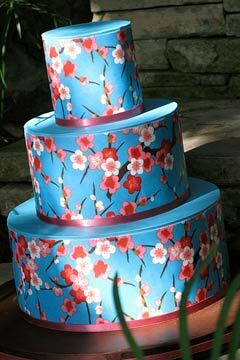 Four tier hexagonal blue wedding cake with red cherry blossoms. 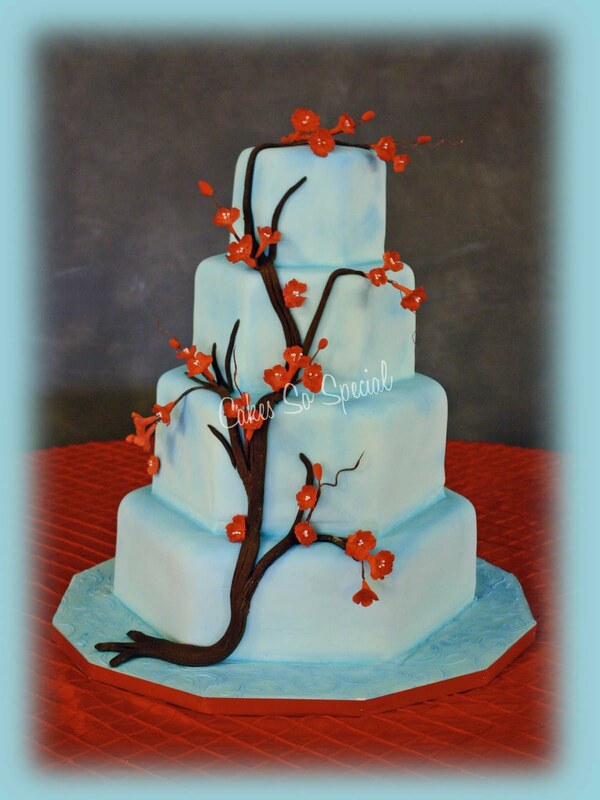 Light blue round wedding cake with white cherry blossoms decorating the three tiers. I love this post! I've recently changed my wedding colors from pink and brown to blue and brown and I thought I'd have to give up the cherry blossoms.